This is a rectangular flange Pierce’s Fine Paints porcelain sign. This particular Pierce’s Fine Paints sign is white with red text. 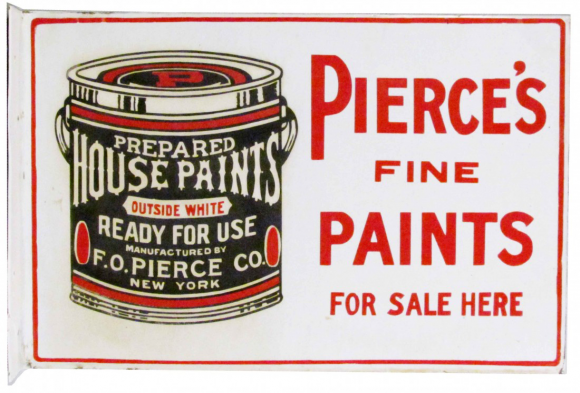 It reads, “Pierce’s Fine Paints, For Sale Here, Prepared House Paints, Outside White, Ready For Use, Manufactured By F.O. Pierce Co., New York” and features a red and black can of Pierce’s Fine Paints on the left side of the sign.